Can you tell us about yourself and some of your achievements in the industry so far? Bidemi Zakariyau is the founder & CEO of LSF|PR, a full service public relations agency with core competencies in corporate communications, consumer and lifestyle brands. I was awarded the Best Law Student during her Business Foundation degree at Brooke House College, Leicestershire, England. I went on to study Law at the University of Sheffield. After university, I interned at two top tier law firms, in the same year I enrolled at the Nigerian Law School. While at law school, I founded LSF|PR, the agency’s clients include some of the best global and local brands including Philips, Branch, Reckitt-Benckiser, Remy-Cointreau, Godrej and many more. Under her leaderships, LSF|PR has received certificate of excellence by the SABRE Awards (2018) – the world’s biggest PR awards programme, dedicated to benchmarking the best PR work across the globe and in the same year won Campaign and Idea of the year in Africa at African Excellence Awards) held in Dublin, Ireland. I have been listed by Forbes Africa as one of the innovators and game-changers in business on the prestigious 30 Under 30 list (2018), African Woman Leader (CMO Asia), Rising PR Practitioner by the Nigerian Institute of public Relations – Lagos Chapter (2017). In 2016, I won the Future Awards Africa for Media Enterprise. In 2017, I launched an online magazine – The Luxe Digest, with the aim of playing a key role in altering the perception of Africa and fostering Pan-Africanism. I am a member of The Nigerian Bar Association, The Nigerian Institute of Public Relations and a board member of Réle. 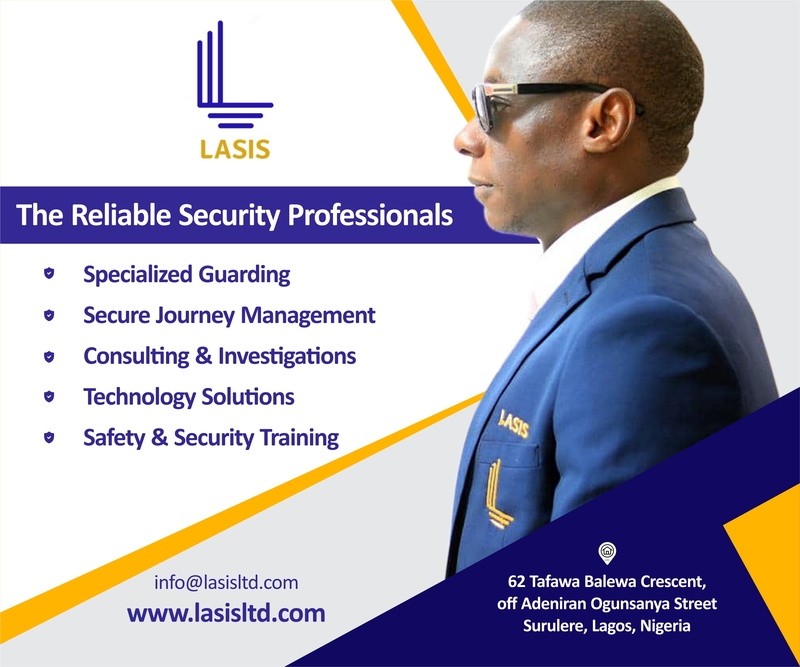 Please tell us how you founded LSF|PR, one of the leading PR agencies in Nigeria? I founded LSF|PR in 2012. I always had an interest in media when I was younger, but I was awarded the Best Law Student at Brooke House College (Leicestershire, England), so I decided to study Law. I moved back to Nigeria after university at the end of October 2011 and decided to do a legal internship before joining law school. I started my PR journey because I realised I was not interested in legal practice and wanted to explore something that I would find fulfilling. At the time, I noticed that there weren’t many boutique agencies specialising in specific sectors. I was inspired by the possibility of building a company that could scale, diversify into different industries and create a sustainable business long-term. Can you take us through some of the places you have worked over the years and how will you describe the experiences? I started my company straight out of Law School and it’s been the most rewarding and eye-opening experience. My company gets to work with different clients. One day, we are working on a brand activation for a global beverage brand, another day it’s a global oil & gas servicing company. Other times it’s strategy for a local financial company or we’re working with an FMCG consumer brand. It’s all very exciting. What milestones have you achieved since you set up LSF|PR? We started as a fashion PR agency, after much success in this area we decided to focus on more corporate and consumer accounts. The breakthrough moment happened when we signed Laurent-Perrier Champagne. Our relationship with the company officially started in 2014 and we currently handle all their key accounts including Remy-Cointreau (Remy Martin, Cointreau, St Remy, Louis XIII), Brown Forman (Jack Daniel’s), William Grants & Sons (Glenfiddich) and Laurent-Perrier. These accounts were huge for us as they were all global brands, our work with these brands – positioning them in the Nigerian market had a beneficial effect on the growth of my company. We gradually started getting recognised for our work in mid- 2015, which led to us securing more local and global clients within the corporate and consumer sector. What were some of the challenges experienced that are peculiar to your journey? I dealt with many challenges and currently deal with some general business ones such as lack of infrastructure for business to thrive, lack of media platforms for content which anyone in the PR profession would also find frustrating. One challenge I had to deal with repeatedly in my early days was having parents believing and respecting the talents of young women; I started my company at 23 and found that it wasn’t only clients that were a bit skeptical about working with a young woman. In fact, many people, including family members of potential employees found it odd that I was such a young entrepreneur and this made hiring even more difficult. Considering the number of awards you have bagged and clients you have managed at under-30 years of age, what has been your drive and how have you achieved these? (How many awards have you bagged since you started)? I’ve never let society’s ideologies of what one should achieve at a certain age define my goals. What is more important to me is working on myself as an individual and growing continuously. Yes, awards are great but I also do not let them define who I am. What’s more important is the impact I leave on the people around me, and the lasting impact of my work with my two companies, LSFPR and The Luxe Digest. So, while I am appreciative and thankful for the recognition of my work, I believe it’s important to continue to look onwards and break glass ceilings and barriers for myself and other young women. What do you think has sustained your clients’ patronage and contributed to the growth of your agency? LSF|PR is a results-driven agency and we always go the extra mile for our clients. We think outside the box and think globally, while having local expertise. I believe this unique combination is why clients feel confident in keeping us on as an agency. Having travelled so widely, how will you compare the Nigerian market, as regards Public relations to what is achievable outside the country? When it comes to the client side, there is a difference in how services are valued in Nigeria and in other markets. Responsible marketing is becoming more common in the West. Brands are taken a stand on political, environmental and social issues – for example Serena Williams and Nike, Bodyform with their blood normal campaign, this is something that hasn’t really happened here. I wish more brands would embrace the ideas that agencies or their in-house teams have for them and be willing to take a risk to stand for something, which honestly would help them connect emotionally with consumers. Who are the women who inspire you and how have you emulated from their examples? I have a few: Christine Lagarde (the managing director of the IMF), Amy Jadesimi (the MD/CEO of LADOL) and Khanyi Dhlomo. In the marketing field, there is Bozoma Saint-John. She’s currently the CMO of Endeavor and was previously at Apple and Uber. I love that she advocates for black women. She is an effective leader and also carries herself with confidence. She doesn’t dim her light for anyone and is confident in her own abilities. Were there times you almost gave up building your brand? How were you able to manage these moments? Building anything in Nigeria is extremely difficult. There are days I feel exhausted, there are days I feel like quitting but I choose consistency over everything, and that really keeps me going. On a bad day, I remember that I only need to get through the day and do the work that’s required and the next day is likely to be a better one. Other times, I try my best to take a break if I’m feeling completely burnt out, it’s a good way to refresh your mind and get you back in the swing of things. How important is vision to you as an entrepreneur and how does it affect your social enterprise/business/career? What are the biggest challenges/obstacles you’ve faced implementing the strategies to achieving your vision in the Nigerian terrain? Vision is important because it gives you a direction and something to look back at even if you succeed or fail. From a leadership perspective, vision is everything. What type of leader are you if you have no vision? You have a team depending on you and it’s your job to share that vision with them so they can execute effectively. You can’t be a leader if you can’t lead by example. I know that my team works so hard because they see how hard I work, consistent and dedicated I am to executing the vision I set out for my two companies. In your own little way, how are you creating employment opportunities for youths through your business? I’ve been running a career development program for entry-level job seekers for the past two years. When I first started my company I found that many potential employees lacked the basics of applying for a job and needed help. I wanted to create a program that would help them address their employment issues. We have a four-week class where we teach the participants how to put together a proper CV, get into the right mind-set. We even have a class focused on “how to get a job, keep a job and grow at a job”. I also try my best to match them with job opportunities. I also run a mentorship program for young women between the ages of 18 and 30. Most are trying to work in the communications and creative industries. I act as a mentor to them – offering career advice, sharing my mistakes and early learnings. This year I have expanded the idea and I now bring in other successful women to talk them through various lessons in order to expand their network.